Being an Aries born on April 20th, your optimism and generosity are amongst your most defining qualities. There is little you would not give to a loved one in need. In fact, you display a generous and giving attitude to everyone you interact with, even complete strangers. Your kindness may be a product of the positivity that defines all aspects of your life. Whether it be a situation, person or experience, you can always find a way to see the bright side. Those closest to you would be the first to admit their appreciation for your optimism. You are a natural giver and would do just about anything to help a loved one in need. 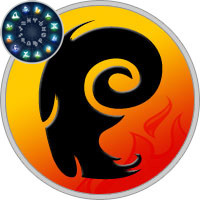 Fire is the paired element of the Aries and in fact, you have the only fundamental connection with fire of all the zodiac signs. Much like a spark becoming a flame, fire’s influence makes you a self-starter and a leader. Additionally, it is the influence of fire that links to your inner-passion and determination. When challenged, your passion burns strong and with fortitude. Fire’s influence will play a key role in your future successes, as long as you avoid the impulsiveness that is amongst fire’s negative qualities.